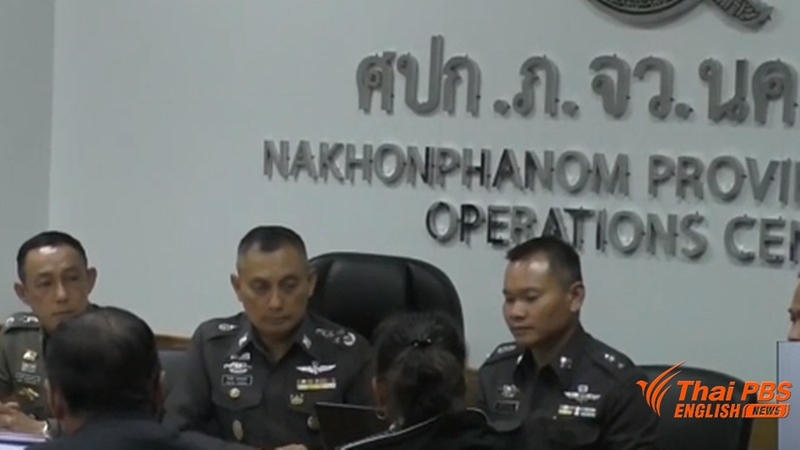 Police say they will summon officials of the Justice Ministry for questioning after they were implicated by Khru Jomsap to have knowledge of the fake witness. Chief investigator of the case Pol Gen Wirachai Songmetta said Khru Jomsap Saenmuangkote has given useful information during yesterday’s questioning although she denied all the charges the police have brought against her. She told police investigators in Nakhon Phanom that officials of the ministry and the Department of Special Investigation have provided assistance on the revival of her car accident case, particularly the fake witness, Sub Wapee, who came out first to say he was the driver of the car, not Khru Jomsap. Pol Gen Wirachai didn’t elaborate their names but said they would be summoned for questioning as they were implicated to have involvement. Meanwhile the police will issue second warrant for Khru Jomsap’s husband, for questioning after he failed to show up for questioning. Police escorted Khru Jomsap to the Nakhon Phanom provincial court today for detention and will reject her bail request. Mrs Jomsap was arrested by police at her home in Sakhon Nakhon on Saturday and was on Sunday questioned by Pol Gen Wirachai.